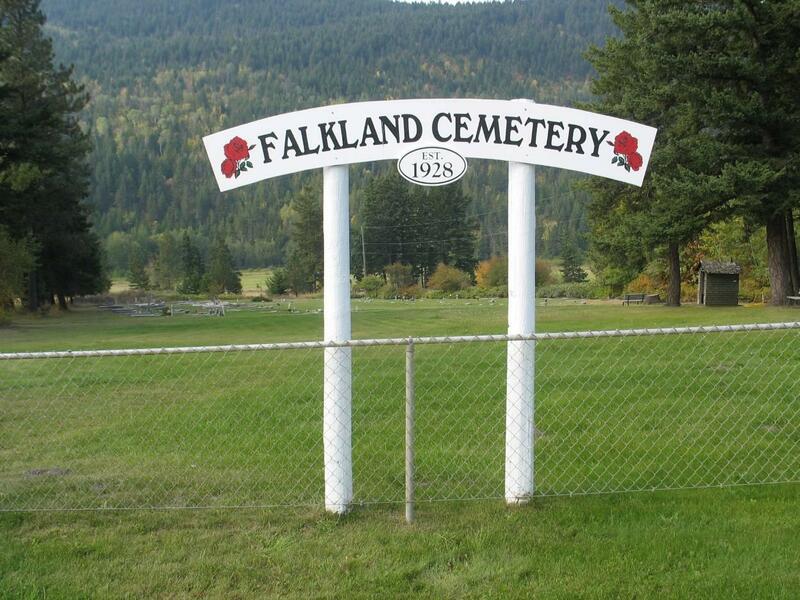 The following is a transcription of the Falkland Cemetery located at south east of Falkland, British Columbia along Highway 97. 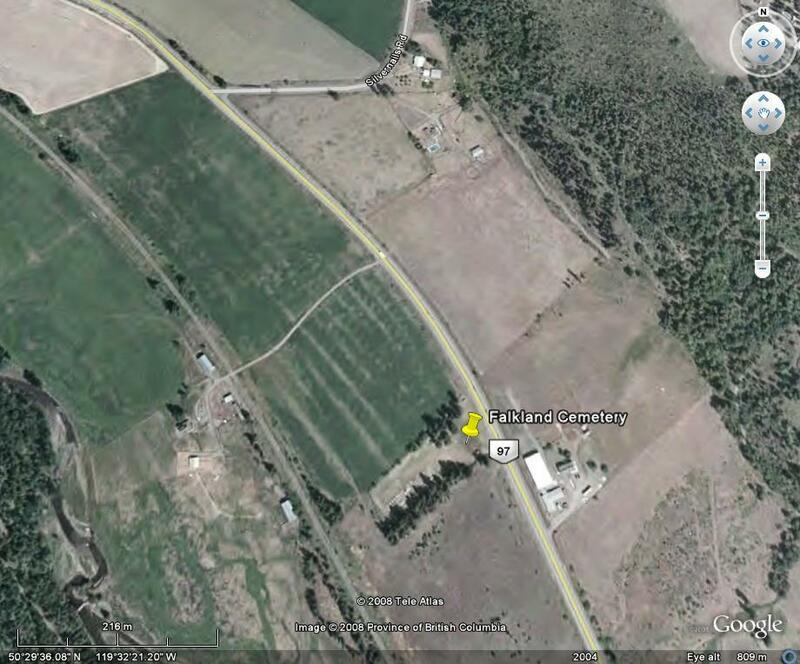 Latitude: 50o 29' 31.78" N.
Longitude: 119o 31' 17.36" W.
The Falkland Cemetery was developed in 1928 when one acre at the south end of the cemetery was donated by W.A. Warren. From 1928 to 1950 the cemetery was located north of the highway. In 1950, the highway was rerouted to run above the cemetery. The resulting strip of land between the cemetery and the new highway was donated by Neil Synge. The last portion of land on the east side completing the present cemetery was donated by Jack Smith of Armstrong Sawmills. The legal land description for the cemetery is Lot A, Sec 2, Twp 18, Range 12, West of the 6th Meridian (W6M), KDYD, Plan 12635. The cemetery is approximately 1.5 acres in size and enclosed by a fence. The cemetery is well maintained by a cemetery board and volunteers. Over the years the board has erected white cross markers for those interments who previously had none. 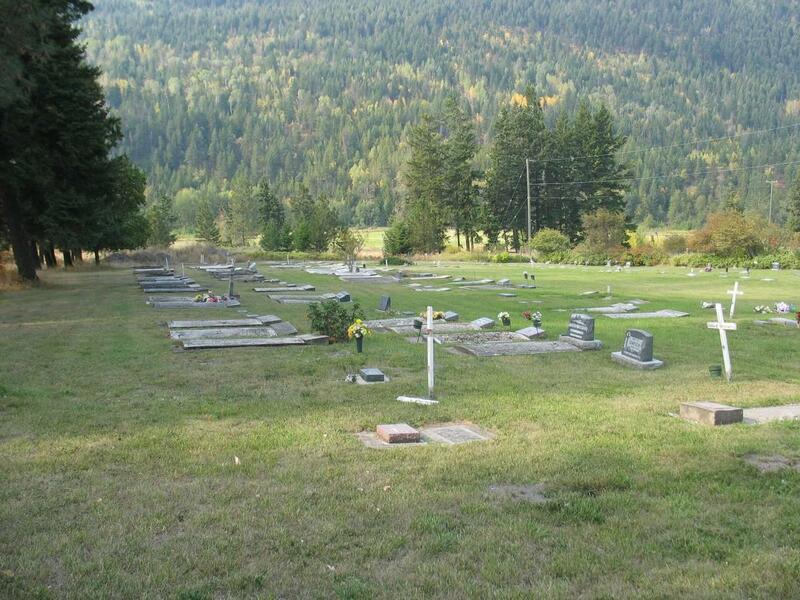 The cemetery is located approximately 1.6 km southeast of Falkland, BC at 5463 Highway 97.